If you are looking for a wedding photographer who has captured literally hundreds of weddings all over the North West, then you have come to the right place! I am Lisa Cowen (LSWPP), and I have had the pleasure of being part of so many special wedding days, at so many different locations, in this wonderful part of the world. 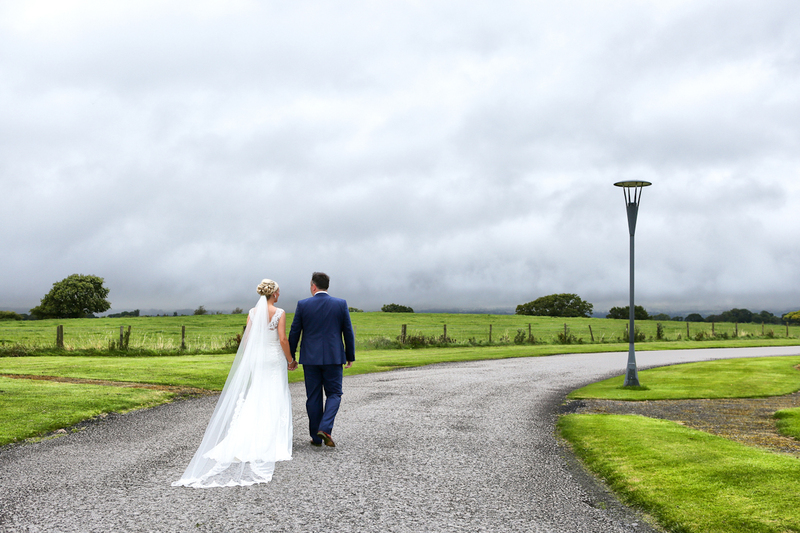 I live in Congleton, Cheshire, and there are lots of beautiful wedding spots right here on my own doorstep, but I am more than happy to travel to any part of the North West, with its varied selection of wonderful wedding venues. People choose their own particular venue for a multitude of reasons; obviously size, budget, location etc .will be the practical reasons why you even consider looking at certain options, but ultimately your final choice will be more to do with the kind of people you are, and the kind of style you like and are comfortable with. If you are having a religious wedding then I have photographed in all different sized and shaped places of worship, from a tiny Greek Orthodox church in the middle of a field, to some very cool and very lively, vibrant African weddings in places like St Wilfrid and St.Anne’s in Newton Heath, and also the likes of the impressive St.Mary’s in Astbury. Church wedding photographs are always lovely, even when there is limited light and space (which is no problem for me at all), as they offer not only a varied background from the reception venue, but also quite often a close tie to family members. I have known couples who will travel long distances to be married in the place where their parents/ grandparents were married and this always seems to be such an important and sentimental element for them, which is so lovely to witness. Some venues are very grand and they have an extremely impressive outlook; I’m thinking of the likes of Capesthorne Hall in Macclesfield, Thornton Manor on the Wirral and Peckforton Castle in Tarporley. Along with their fabulous facades and grounds, these venues and others similar to them all have wonderful architectural features; intricate archways, fireplaces, huge windows etc. and these provide me with endless possibilities for photography, as I’m sure you can imagine. On the other hand, some couples are a lot happier with a much more intimate setting, and I have photographed weddings with as few as 12 guests; just immediate family, quite often followed by either a larger reception in the evening or even an extended honeymoon instead! The incredible 60 Hope Street in Liverpool or Pecks restaurant just outside Congleton both spring to mind, and it just goes to show that you really do have the freedom to choose exactly how big or small you want your wedding to be, without compromising in any way how special the day will be for both of you. Some of my favourite North West weddings have been in converted barns. Styal Lodge in Wilmslow is a truly classy venue with it’s huge windows letting in lots of natural light, Owen House Barn in Mobberley is modern and quirky with it’s huge hay barn attached, Tower Hill Barns in Wrexham (which is not strictly in the North West but close enough for me) has an old railway bridge on site which is fab for photos, and Heaton House Farm in Cheshire looks like an actual farm from the outside; until you see the splendour within! I could probably continue in this fashion for quite a while! I haven’t even touched upon so many other options; the incredible city centre wedding venues that we have in our midst; The Great John Street Hotel in Manchester, Heaven on 7th, Panoramic 34 or the Adobe Hotel in Chester, which all have amazing views and really cool interiors with little pockets of light to be captured along with unique furniture and funky wallpaper for backdrops etc. The classic country house hotels such as Nunsmere Hall in Northwich, Stanley House Hotel in Blackburn and West Tower in Aughton, Lancashire, all have beautiful grounds, which are a pleasure to incorporate into my images, and of course boutique hotels such as the Belle Epoque in Knutsford, and country pubs like the White Lion in Alvanley all have their own individual charm. Some people love the historical tudor buildings, such as Adlington Hall, Samlesbury Hall in Preston, or the Wild Boar in Beeston, and others will have a mini festival in a marquee, or a tea party, or a wedding at the zoo or by the canal. I have captured all of these and many, many, more, and if you would like to have a chat about your plans for your genuinely unique and special wedding day, then please do get in touch using the contact section of my website.